The EncounterPRO Foundation, Inc. is a non-profit organization dedicated to promoting open source electronic medical record (EMR) software. They provide medical practices with their open source EncounterPRO-OS EMR Clinical Groupware Platform. This gives medical practices access to a completely free EMR solution that allows physicians to improve patient care and ensure profitability and productivity in their practices. The EncounterPRO-OS EMR Workflow System differs from other EMR solutions in that it is an open source software solution, offered without charge. Currently, The EncounterPRO Foundation only offers the EncounterPRO-OS EMR Pediatric Workflow System; however, systems for family medicine and obstetrics/gynecology are in development. The EncounterPRO-OS EMR Workflow System is well suited for any ambulatory medical specialty that is high-volume and low-margin. 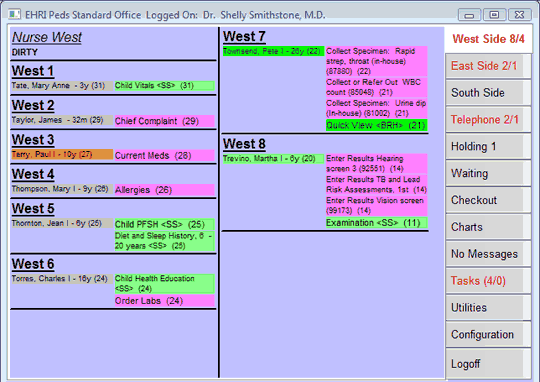 This system offers a range of features, including Office View, which tracks the status of each patient in real-time. With Immunization Management, physicians can easily track the immunization needs of individual cases. The EncounterPRO-OS EMR Pediatric Workflow System also offers many features specific to the pediatric specialty, such as growth charts, vaccination tracking, and pediatric-specific workflows and billing. Pediatrician Dr. Jeffrey D. Cooper successfully implemented the EncounterPRO-OS EMR Pediatric Workflow System in his practice. Dr. Cooper found that with this system, his practice was able to dramatically decrease waiting times, making the parents of his patients much happier. Furthermore, Dr. Cooper is now able to schedule more patients per hour, which both helps his practice increase profits and ensures that more patients are receiving necessary preventative services. Learn everything you need to know about EncounterPRO. Our experts will reach out to you shortly.